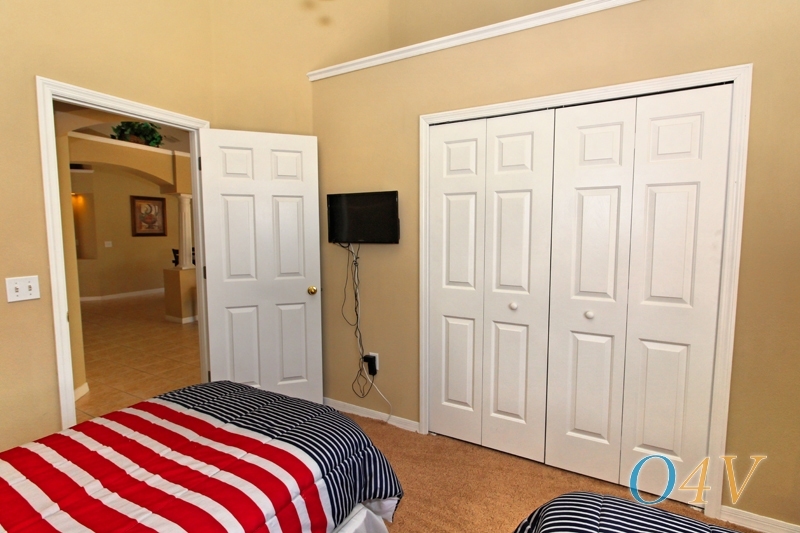 Our beautiful 4 bedroom, 3 bathroom, lake view villa has king, queen and two twin rooms. 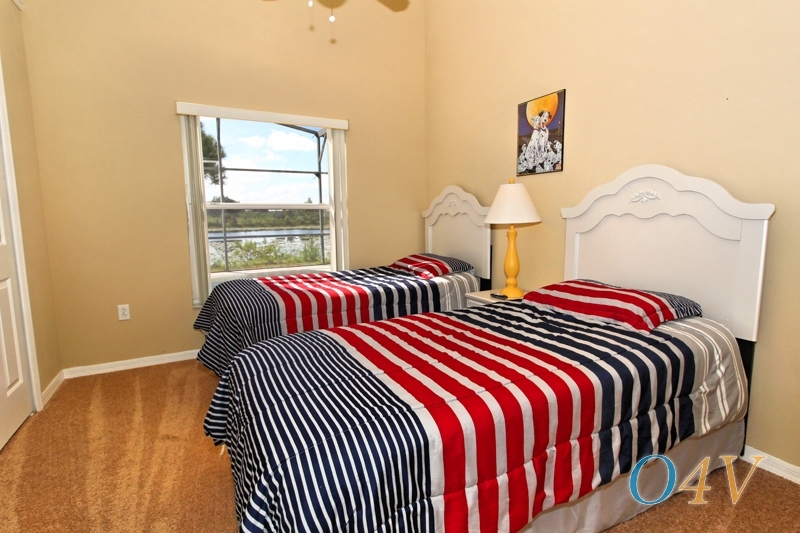 Two of the bedrooms also have lake views. 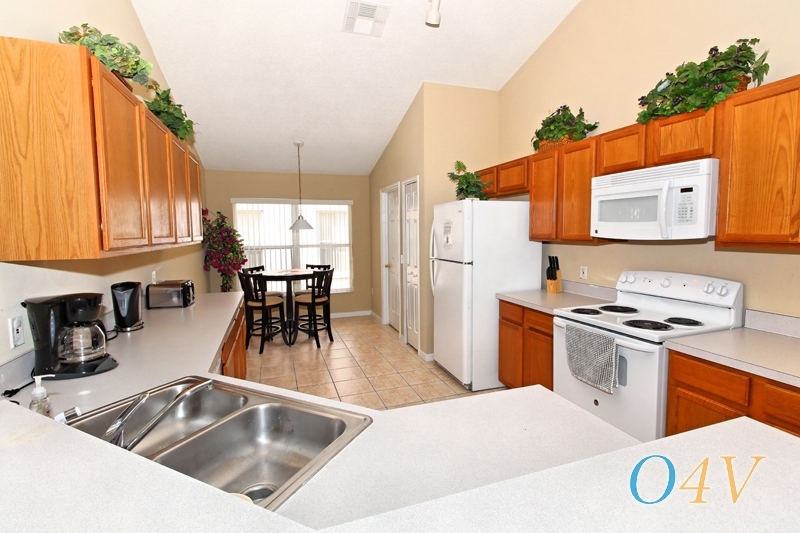 The fully equipped kitchen also has a washer and drier. 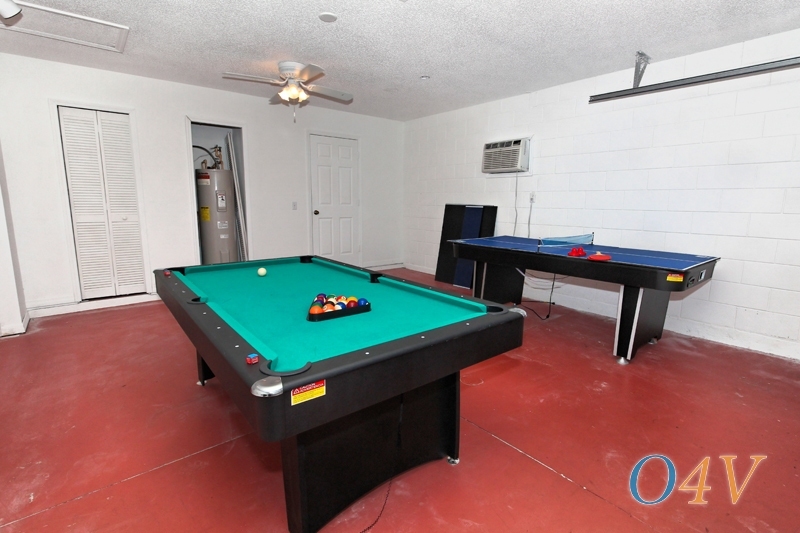 There is also a games room with air hockey table tennis and pool table. 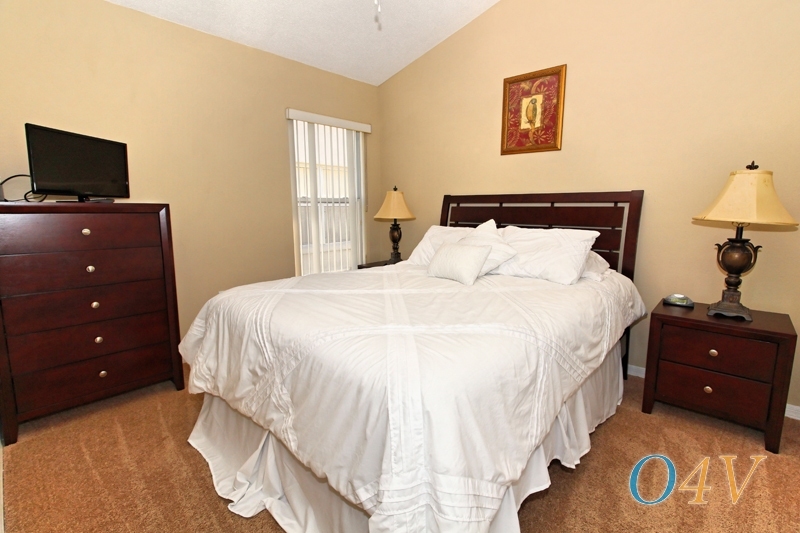 All the bedrooms have TV/DVD players and ceiling fans. The formal dining area and lounge also overlook the lake with uninterrupted views. Complimentary hi-speed Wi-Fi and free phone calls to USA & Canada are included. 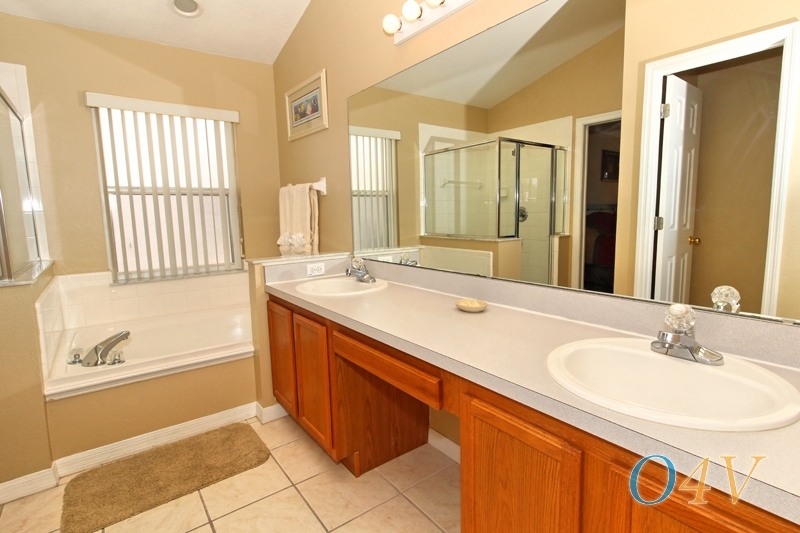 Our well appointed 4 bedroom, 3 bathroom villa is situated just 3 miles from Disney World in one of closest neighbourhoods to the attractions and is a short drive to other Central Florida theme parks like Universal Studios and Seaworld. If you want to venture further afield, the central location makes trips to Tampa to the west, or Space Coast to the east an easy drive. 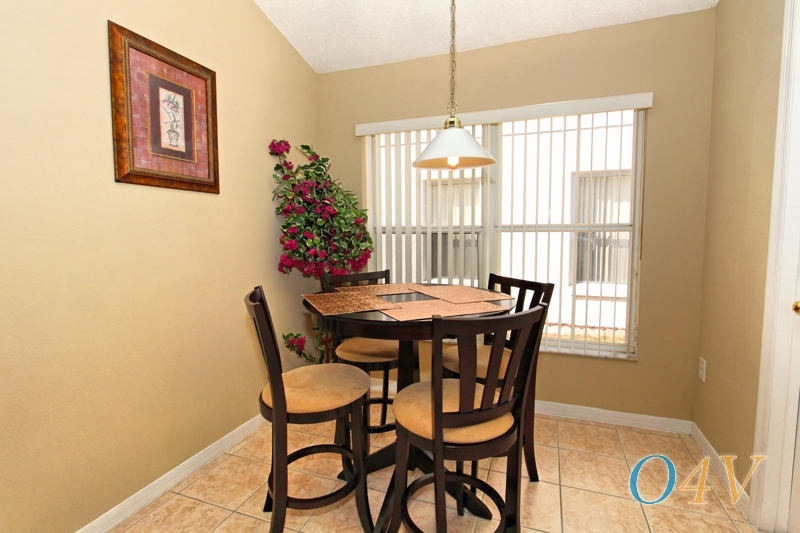 Within walking distance of supermarkets, shops and restaurants. 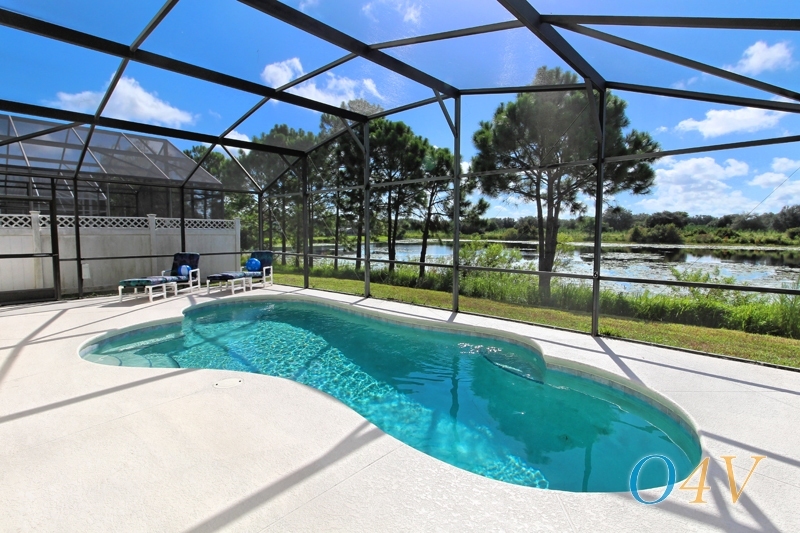 Backing onto a beautiful lake, you can admire the tropical plants, the Florida palms and wildlife when you relax from the comfort of the enclosed deck and south facing pool area. 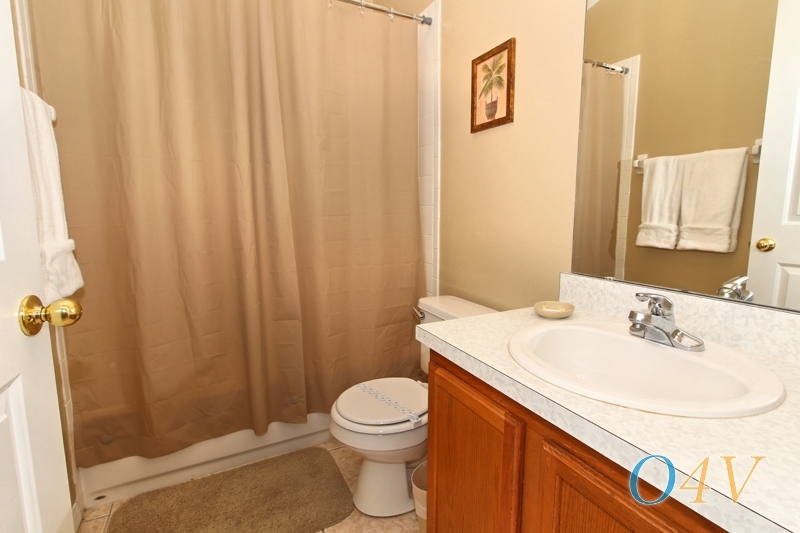 We made sure our decor is upscale and stylish but not at the expense of your comfort. It is your home away from home. So kick off your shoes and relax! 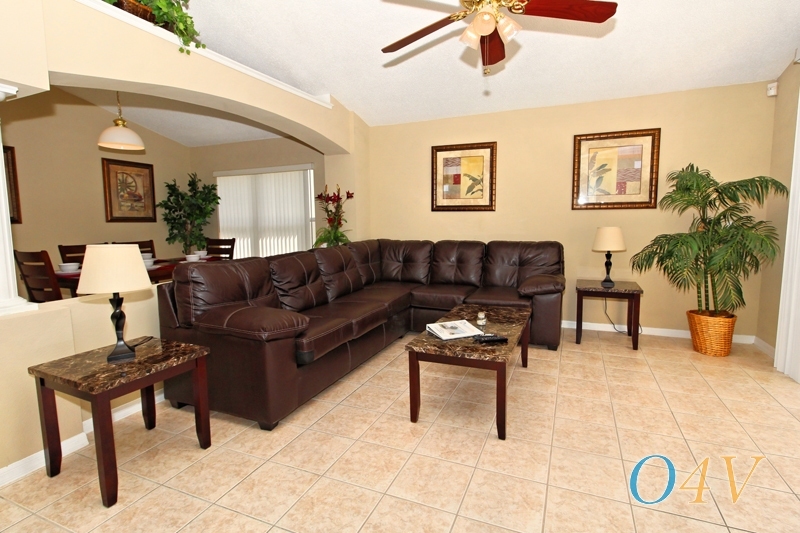 We had a wonderful vacation at this home, upon our arrival the property was also very clean and spacious. House is in a great location to Disney, the local manager was also very courteous, can't wait to be back! 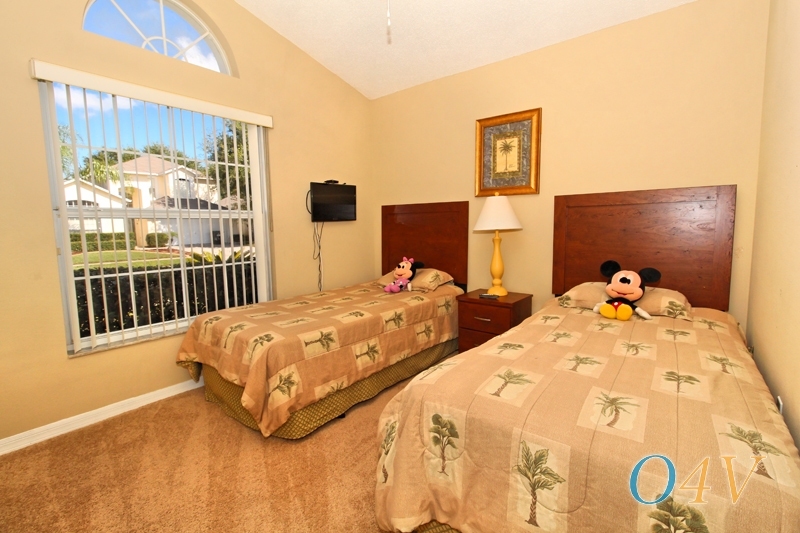 Oak Island Cove is the closest residential community to the magical Walt Disney World complex, just a five-minute easy drive to the home of Mickey Mouse. 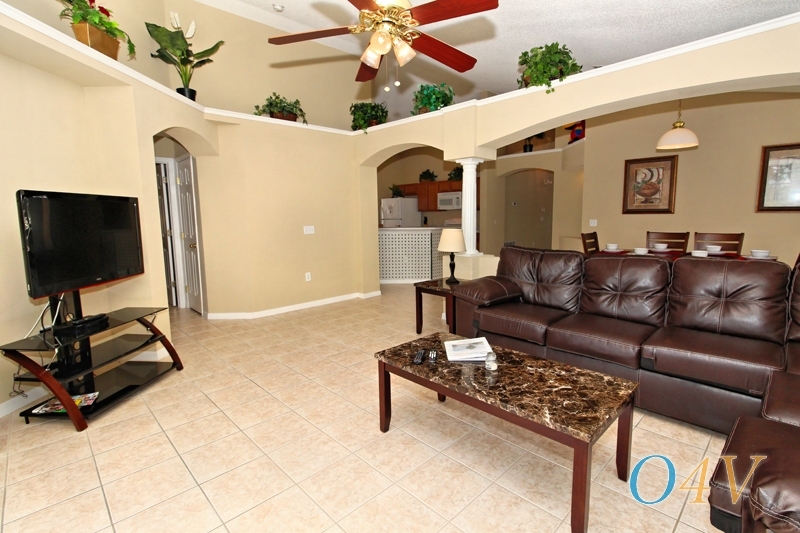 Other main attractions, Sea World, Universal Studios, Downtown Disney, Church Street Station are a short car ride away. 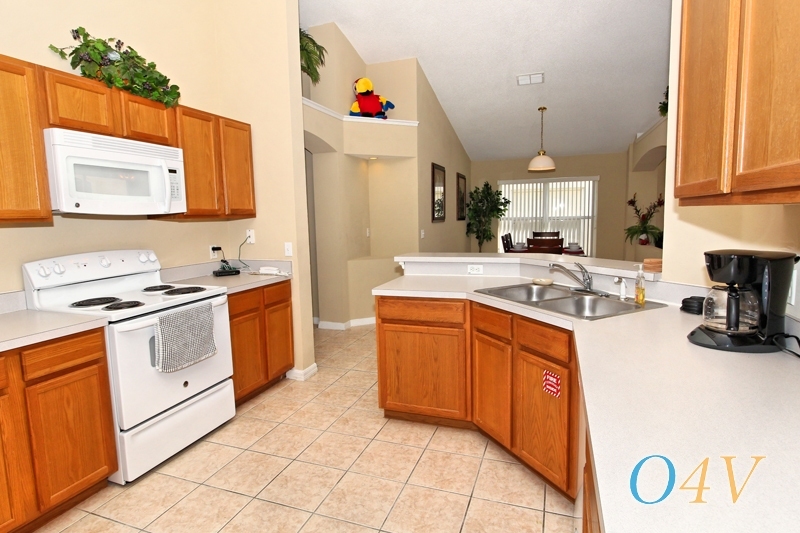 Oak Island Cove is a premier development, only 30 minutes from Orlando International Airport, and within easy access to the numerous restaurants, shops and supermarkets on Highway 192. 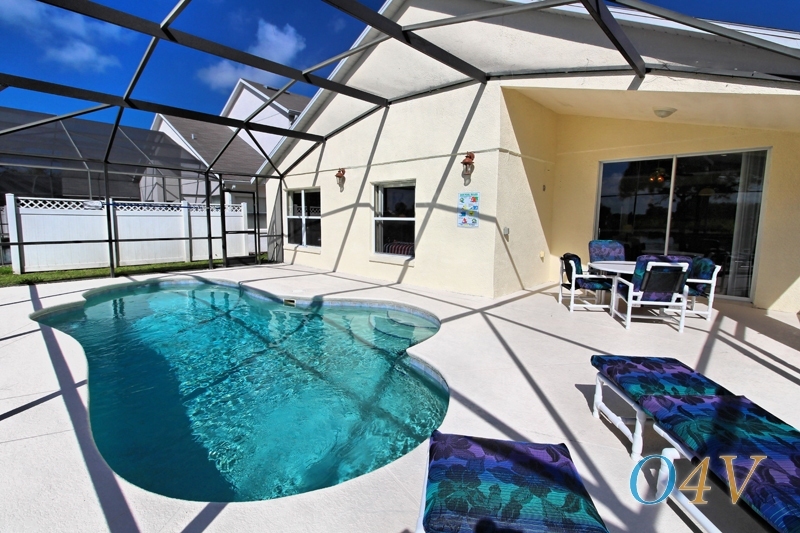 Oak Island Cove luxury villas in Kissimmee in the heart of central Florida and all the attractions. 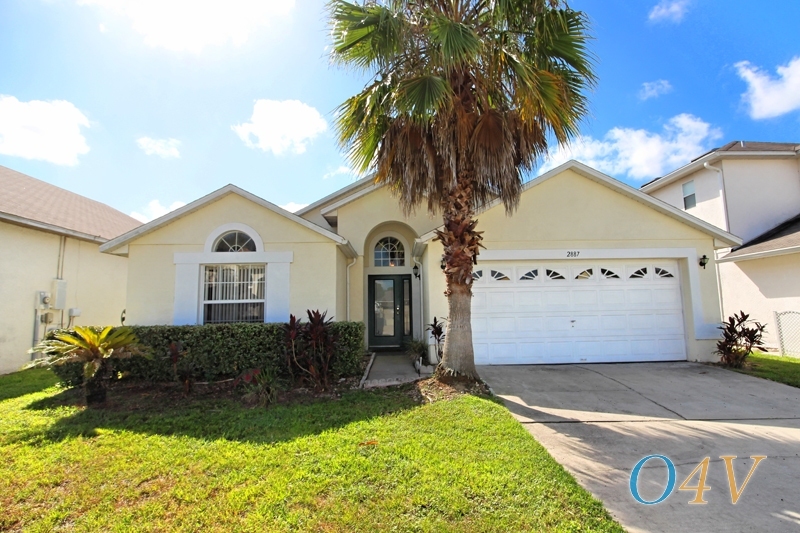 Located just off the popular HWY192 and near Formosa Gardens, Oak Island Cove is an exclusive community with only a 10 minute journey to Disney World Orlando. Every amenity is close at hand for a wonderful holiday, including easy access to shopping outlets and supermarkets, restaurants and bars and numerous championship golf courses. 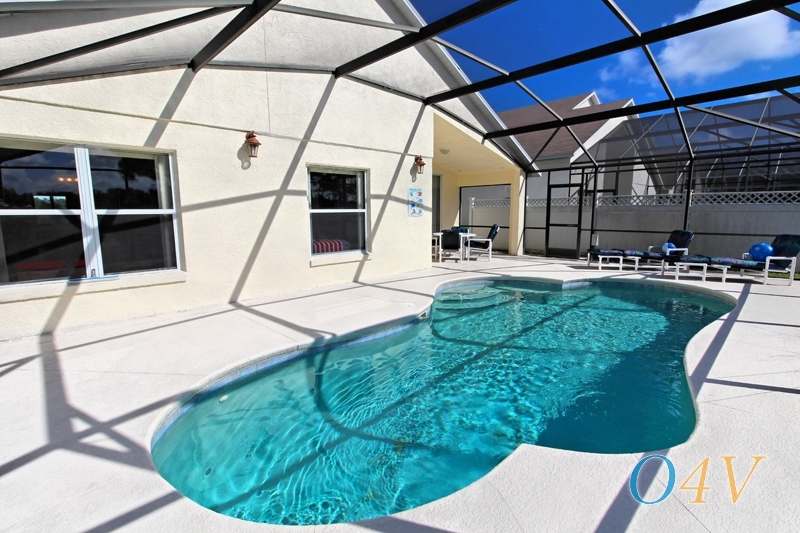 This is the perfect holiday base to make a lifetime of memories, it also offers spacious and luxurious Florida rentals, each with your very own private pool. 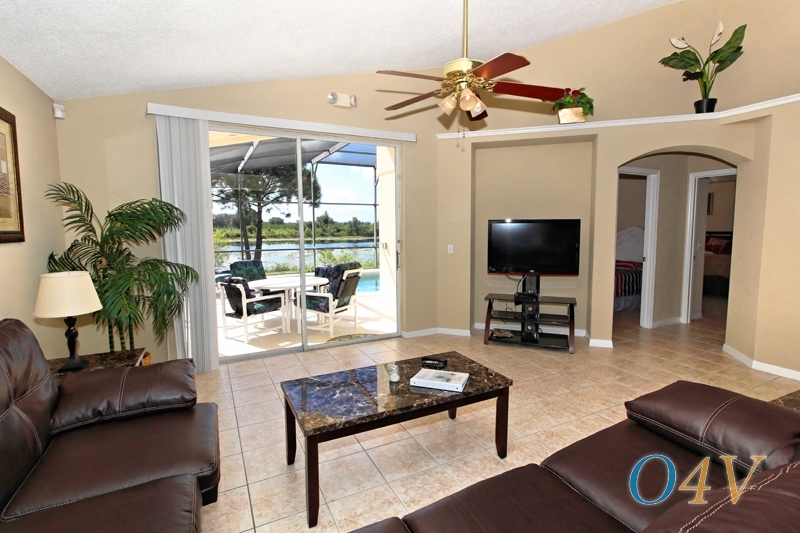 So whether you want to visit the theme parks, or simply lounge in the sunshine by your pool, Oak Island Cove makes an ideal place to stay. 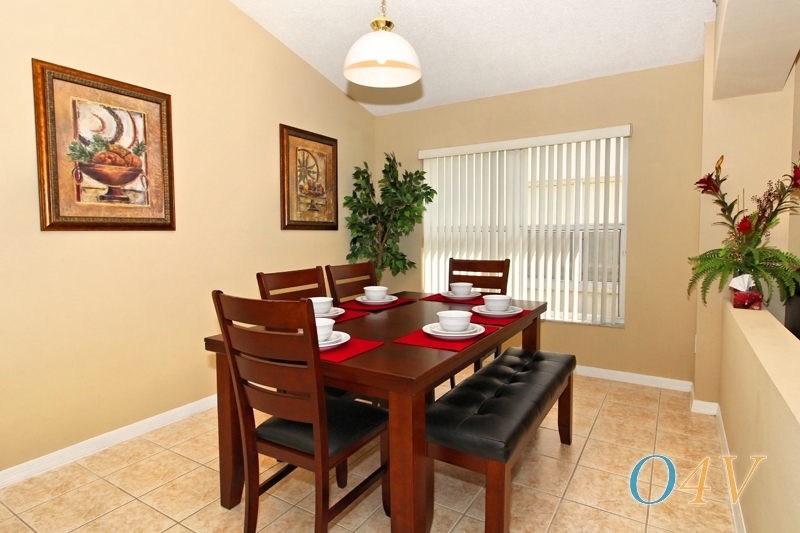 Orlando4Villas opinion, Oak Island Cove offers much for the family coming on vacation to the Orlando / Kissimmee area. 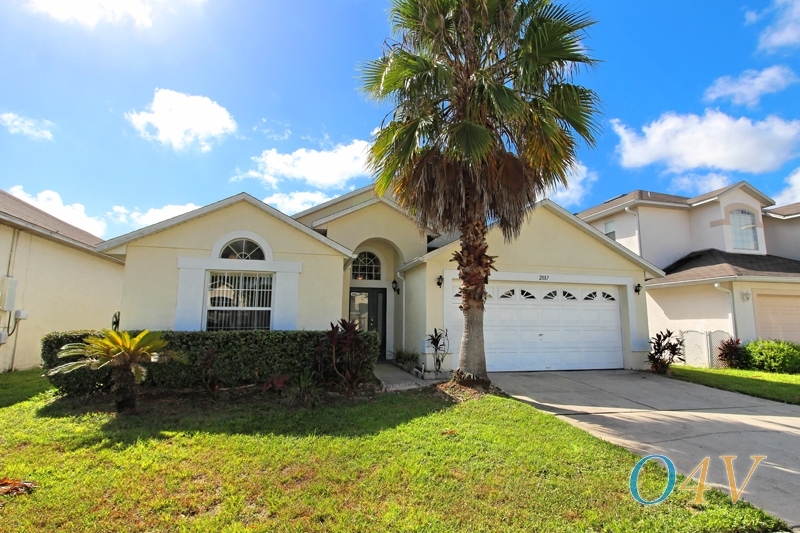 The community is in a great locaction with everytjhing you need to enjoy a perfect family holiday 2 minutes away from the worlds famous Walt Disney World .Orlando4Villas has the large selection of vacataion homes available for rent in Oak Island Cove.